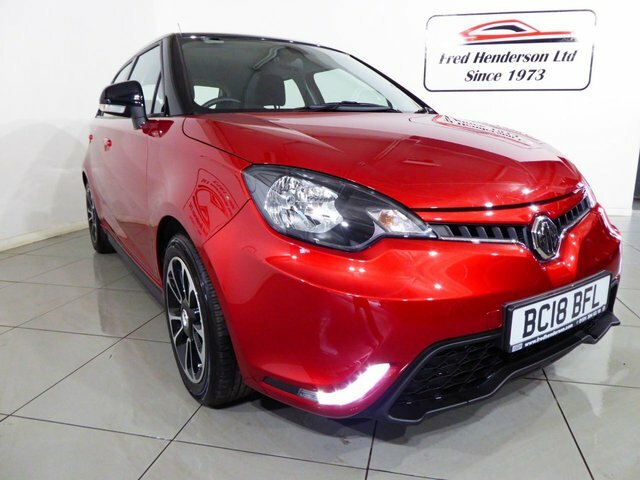 A very well cared for MG3 in the best colour combination with full main dealer service history, bluetooth, cruise control and air conditioning. Sleek styling and a spacious and comfortable interior ensure the MG 3 is an impressive offering in the supermini class. This five-door hatchback features plenty of equipment as standard and comes with a useful boot that'll make day-to-day life a lot simpler. To discover whether one of the used MG 3 models for sale in Durham City is the right fit for your lifestyle and budget, be sure to arrange a test drive by contacting a member of the team at Fred Henderson Ltd right now. You can also view our complete stock of quality used cars here on the website. We're proud to offer unrivalled customer service and will ensure you find the perfect model to suit your requirements.